Sailing Adventures of David & Kathy: That tiny blue dot is us. 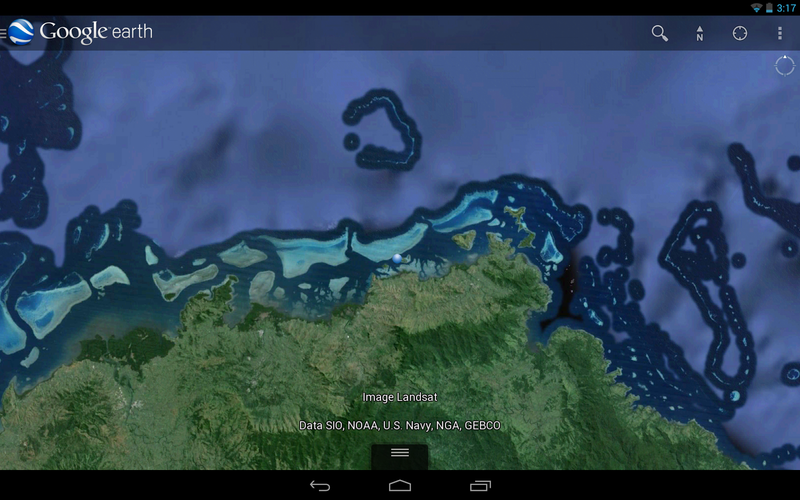 That tiny blue dot in the middle of this Google Earth image is our anchorage for the night. This anchorage at Tovu Island is far from ideal. Too close to shallow coral that could become dangerous with a wind shift and super deep water off our stern. Strong ESE trade winds have us stuck here for the night. 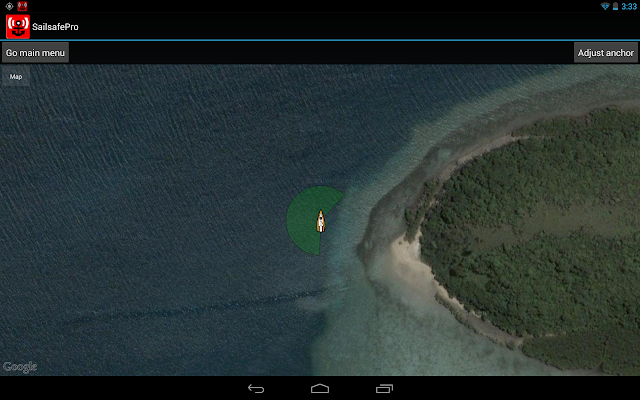 Our Nexus10 android tablet and Nexus4 android phone will be running SailsafePro anchor alarm tonight. With the green sector defined as 'safe'. If we move out of this 40m radius green area the very loud alarm will sound.